Was this week a dream come true or what? The slush and snow has melted and dried out, revealing heaps of digusting trash—but still! Sun! Warmth! We'll take it, yes? Aside from this taste of spring, we also got New York's annual 'Best of New York' issue, a delightful breakfast recipe I cannot wait to try and a think piece about Cinderella's influence on postwar America. There's plenty of good fodder below for your date this weekend—have at it. Here's a fun (read: actually pretty difficult) game from the New York Times online: Can you LOCATE THESE NEW YORK CITY LANDMARKS on a map? New York magazine's BEST OF NEW YORK 2015 is out. Time to eat, drink and be merry all over town. Unsure what to make for breakfast at home this weekend? 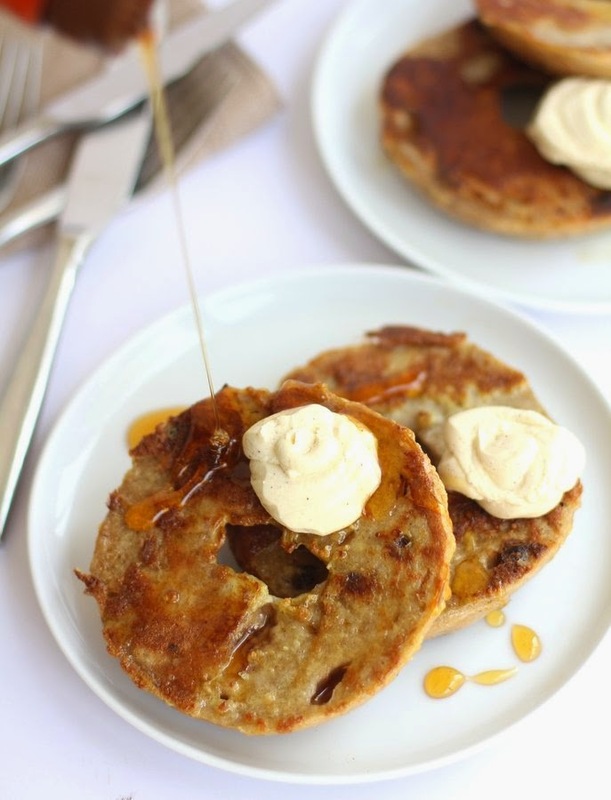 Might I suggest the absolutely mouth-watering idea of BAGEL FRENCH TOAST? I'm drooling as we speak. Forget the Apple Watch. Presenting, THE GOLD MACBOOK. Do you want it? Do you need it? Are you thinking about how well it will match your gold iPhone 6? And if so, does that make you a tool? John Oliver asks, re: Daylight Savings, HOW IS THIS STILL A THING? CINDERELLA AND POSTWAR DIOR? When the animated Disney film came out in 1950, the two had more in common than you might think. If you get to a house party this weekend and someone forgot to bring the fun, just whip out your phone and download CARDS AGAINST ORIGINALITY—an unofficial app version of everyone's favorite inappropriate card game. Whether you're in the mood to redecorate your apartment or not, this piece from Racked on THE 38 BEST HOME & FURNITURE SHOPS IN NYC is too impressive to be missed.